I use Facebook every day for both personal and business use, and recently saw something odd on a business page that I manage for the Tualatin VFW. 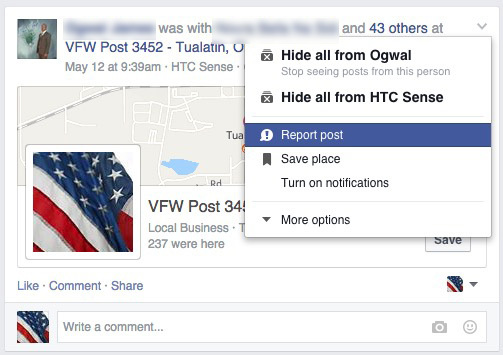 It turns out that visitors can use Facebook to check-in to your business from a mobile device when GPS is turned on, and that is exactly what a visitor did, they checked-in at the Tualatin VFW and left a link to a YouTube video. Somehow, when you clicked that YouTube video link it redirected me to a pornographic web page instead. Big surprise. 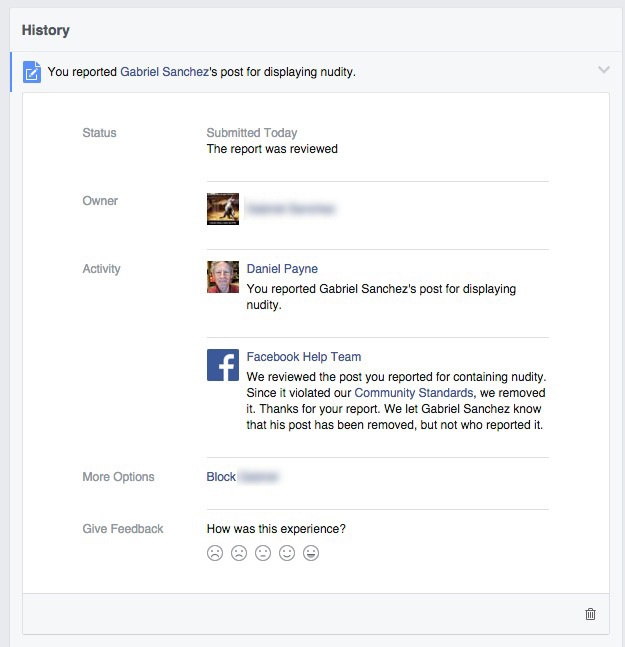 If you ever see a Post show up on your Facebook Page and it is offensive, or contains a link to offensive content, then please go ahead and report that post so that Facebook will remove it. The last thing that you want is for visitors to your Facebook Page to be offended. This is kind of a rare occurrence because this is the first time it’s happened to me after using Facebook Pages for years. It may be that this person who posted the offensive link had his Facebook account hacked, and that the thieves were really at fault here. In either case I have acted quickly to remove the offensive content. 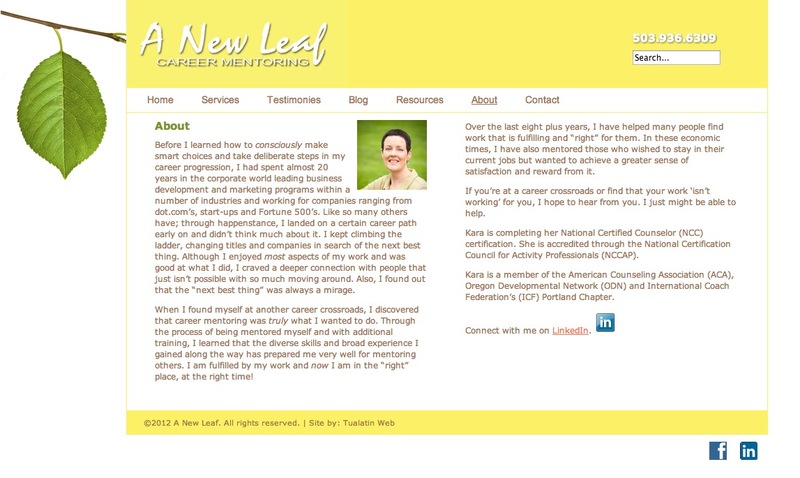 I knew that Kara wanted to update her own web pages and do some blogging, so we used WordPress, the number one web-based Content Management System. When Kara writes a new blog post on her web site that same post will automatically publish on both her Facebook Page and LinkedIn status, reaching a wider audience with less manual effort. It’s very rewarding for me to help another small business owner create a web presence and pursue their dream to help others. Is that Web Password Safe or Hacked?